Cayla is the home ot the Barwedel Irish Setters, jointly owned by Susanne and Nikki. 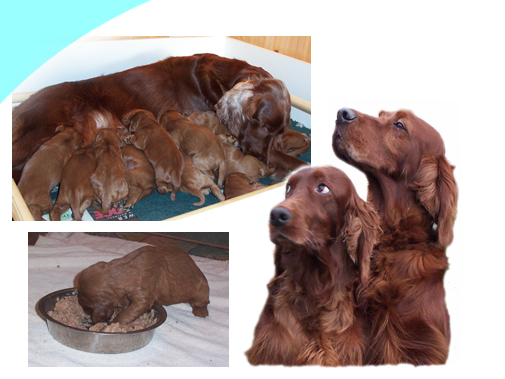 We have owned the breed for many years and successfully shown our Setters in the past, now we breed the occaisional litter of puppies. Two of our Setters, Harry and Fergie, achieved the Kennel Club Good Citizen Award, in the early years of the scheme's existence - proving beauty and brains do go together! We are happy to talk with anyone interested in the breed without obligation, just so that you make the right decisions when choosing a pet.